The failure of the subway system provided political will for the policy, but it might be harder to rally support for driving fees in Los Angeles, Philadelphia, and Boston. Last Sunday, New York lawmakers broke precedent when they agreed to enact a fee on driving. 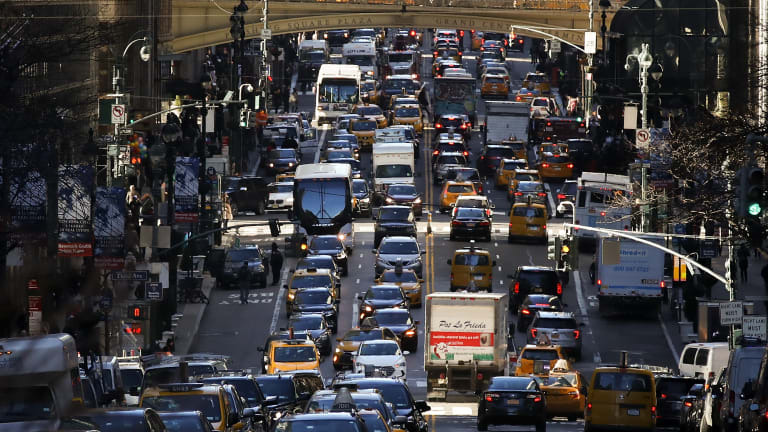 The first congestion pricing program of its kind in the country, the policy will require drivers entering lower Manhattan to pay a toll, likely around $11 for cars and $25 for trucks (based on the recommendations of a state-commissioned task force released last year). The agreement comes after a more-than-decade-long effort by advocates and legislators to tackle the city&apos;s crushing traffic problem, which has only increased with the rise of ride-share and delivery services: Since 2010, travel speeds are down by 21 percent in Manhattan south of 60th street, according to the New York City Department of Transportation Mobility Report. The policy had been pushed by a range of interests, from environmental advocates—who hold up congestion pricing as a necessary response to pollution—to economists, who had emphasized traffic&apos;s financial burden. 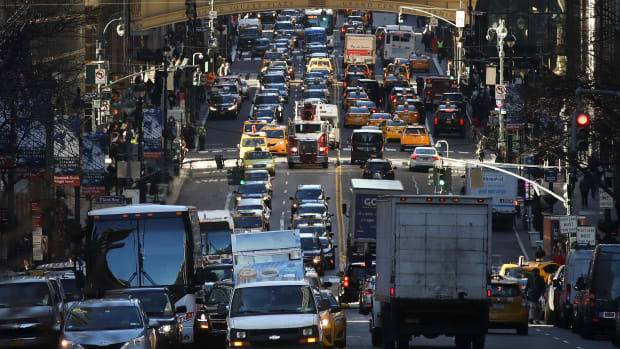 Congestion costs New York City an estimated $20 billion a year between lost productivity and excess gas and automobile expenses. Congestion pricing is already under consideration in several other cities beleaguered by traffic. In Seattle, Mayor Jenny Durkan is spearheading efforts to establish congestion pricing by 2021; Portland is currently awaiting the Oregon Department of Transportation&apos;s proposal for a pricing plan; studies are underway in Los Angeles and San Francisco. Since watching the news unfold in New York, policymakers in Philadelphia have expressed interest too. But how these cities will overcome the political challenges to congestion pricing remains an open question. The challenge for congestion pricing is not policy, argues John Kaehny, the executive director of Reinvent Albany, a government transparency advocacy group. "The policy is very well understood—the technology and how to do the pricing is proven," he says, referring to successful policies in cities like London, Stockholm, and Singapore, where travel times and emissions fell shortly after enacting congestion pricing. "By far the biggest challenge in 2019 with congestion is politics." This was true in New York, where, for years, despite its various benefits, congestion pricing was a political non-starter. 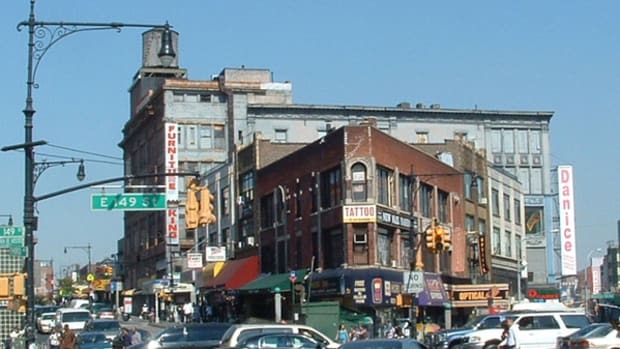 When then-Mayor Michael Bloomberg first brought it to the policy table in 2007, it was quietly killed by the state assembly, without even reaching a vote. What cinched the deal this time around had, in fact, little to do with congestion at all, but with a far more popular form of transit: the subway. As the subway system has deteriorated in recent years, now suffering under a mountain of nearly $41 billion in debt, Governor Andrew Cuomo has come under unrelenting fire to secure the funds to put it back together. "For a long time, advocates in New York have very well known that we needed two things: a champion and a crisis. We had neither," Kaehny says. This time, he says, it was different: "The crisis was the subway service meltdown and [its] financial debt crisis. And that created a champion in the form of the governor, who was desperate to do something." In reality, the fundraising promised by the city&apos;s new scheme is limited: Congestion pricing aims to raise $15 billion in bonds from the program to the Metropolitan Transportation Authority through 2024, not nearly enough to address the full magnitude of the subway crisis. On the list of benefits of congestion pricing, Michael Manville, a professor of urban planning at University of California–Los Angeles Luskin School of Public Affairs, would put raising revenue somewhere near the bottom: The administrative cost of the type of electronic tolling system necessary to collect revenue from congestion pricing is much higher than that of taxing gas, or even property. "To an economist, you could have congestion charging in Manhattan, take all the money, put it in cash form, and then sink it in the harbor, and it would still be an incredibly beneficial program," he says. The importance of revenue, he contends, is political: In a country that has long idealized the open (read: free) road, it allows politicians to promise voters something in return for paying for the right to use them. The challenge in other cities is what politicians can promise in return for congestion pricing, in both the short- and long-term. The subway served in New York not only as a rallying cry but as an immediate answer to skepticism about how such a policy would work. One of the big critiques of congestion pricing is that it is regressive: that a $10 fee is a much bigger hit to a poor driver than a wealthy one. However, studies have shown that, with the right set of subsidies for low-income drivers and exemptions, including for people with disabilities, or for those traveling to medical appointments, road pricing can advance equity. Advocates note that it is exactly these strategies that save all utilities—water, heat, electricity, public transit—from being regressive. But the critique remains a political force to contend with. Notably, the argument is one that New York&apos;s congestion pricing advocates had a relatively easy time answering. 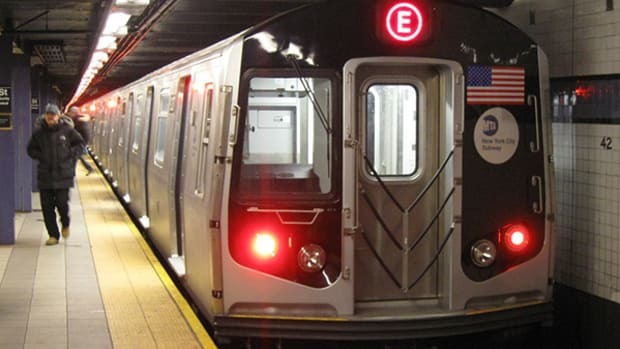 In a city where well over half the population commutes by public transportation, only 2 percent of the city&apos;s outer-borough working poor would potentially be subject to a congestion fee, according to an analysis by the Community Service Society. The median income of households with a vehicle in New York City is more than twice as high as those without. In many other cities, though, like Houston, Los Angeles, and Atlanta, the gap between lower- and higher-income reliance on cars is much smaller. At the same time, gentrification and rising rents have increasingly pushed poor people beyond the routes of public transit alternatives. Another political challenge comes down to messaging. Without something akin to the collapse of the biggest public transit system in the country, how can cities overcome an enduring American fixation on car culture? Megan Ryerson, a professor of transportation and planning at the University of Pennsylvania, worries that such a unifying message might not exist in her home city. "For how robust and how active this community of people who want transportation alternatives is in Philadelphia, the people who like to have their private cars and to have access to them whenever they&apos;d like and still live in the center of the city—that community is still very big as well," Ryerson says. The only potential for political enthusiasm she holds out hope for is around the issue of safety: the city&apos;s rate of traffic deaths is three times higher than New York City&apos;s, and twice as high as Boston&apos;s.
Jillian Detweiler, the executive director of the Street Trust, a transportation alternatives advocacy organization in Portland, Oregon, has similar concerns about potential divisions over policy outcomes. She and other transit advocates would want to put revenue from congestion pricing toward public transit, discouraging automobile use overall. But others, she says, "argue that, if there&apos;s a price on driving, it has to go into a highway fund, [which] can only be used to create automobile capacity." She notes that the West Coast has far fewer car tolls than the East Coast, which may contribute to even greater reticence. "It&apos;s a foreign concept for many people," she says. Back on the East Coast, Aaron Naparstek, the founder of Streetsblog, a website that has covered New York City&apos;s congestion pricing movement since its inception, sees one sign of hope that spans geographies. It&apos;s not just the subway crisis New Yorkers have to thank for the adoption of congestion pricing: Just as crucial is "a new generation of political leadership," he says. "The Boomer generation was really brainwashed by car culture. There&apos;s this altogether new relationship between the car and the city that is emerging out of this younger generation. 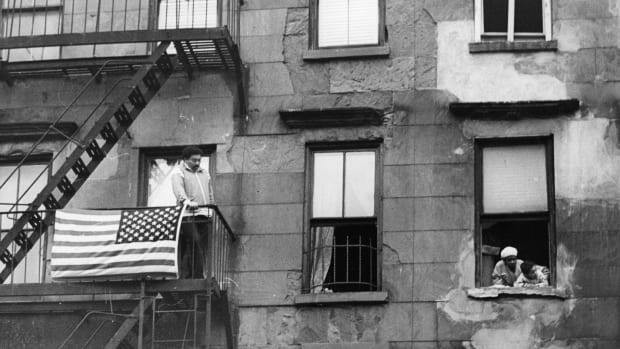 And that&apos;s not just a New York City phenomenon, I think that&apos;s happening everywhere." Between 2000 and 2015, the share of cars purchased nationwide by people aged 50 or older increased by 47 percent, while the share of cars purchased by people under 50 decreased by 23 percent, based on data published by the Federal Reserve. It&apos;s unlikely that any other cities will find the political will to pass congestion pricing anytime soon, but Kaehny hopes that, after a few years of successful implementation in New York, it may catch on: "I think of this as the beginning of the beginning." Is It Time for U.S. Cities to Consider Implementing Congestion Charges? New York City could soon be the first American urban center to implement this strategy to ease congestion and speed up commute times. Rather than moaning about too many cars on the road, the Ridesharing Institute says the real key to battling traffic congestion and pollution is filling empty passenger seats.